The Millennium Education is a school which provides accredited course for those ready for the next evolutionary step of awakening, self development and the connection with absolute empowerment. It is for those ready to awake to true potentiality, possibility and ascension to create an absolute empowered life. This is a journey for those wanting a new beginning, new life and manifesting all their hearts desires to design their destiny according to the ancient wisdom of past and new quantum mechanics of the future. Millennium Education Centre located on the beautiful Sunshine Coast, Queensland, Australia, is a foundation based around the principles of absolute universal love and oneness. It provides accredited courses and teachings for those that are ready for the next evolutionary step of conscious co-creation. As from many teachings such as the Book of Enoch, Course of Miracles, ancient Egypt, Atlantis and Lemuria, the knowledge shared is about the future and a time of great achievements. It is a time when great happiness prevails. It is about assisting those whom are ready to awaken to truth with grace and ease. Awaken to receive the miracles that occur everyday. 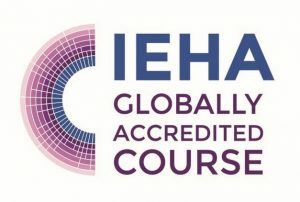 The School currently offers accredited courses in the ‘Millennium Modality®’ which includes Medical Intuition and intuitive healing techniques, Opening Doors and Millennium Children. The ‘Millennium Modality®’ is uniquely different and more successful than anything created today as it brings about ancient wisdom and philosophy from cultures been and yet to come. All those who have attended the ‘Millennium Modality®’ accredited courses have experienced enormous changes in their lives, resulting in the highest levels of joy, abundance and feeling totally alive and fulfilled in every way. 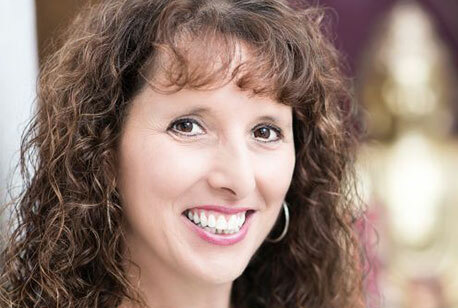 Incorporating medical intuition, ancient wisdom, new age sciences and quantum physics. It’s about living the life you were born to live, being self responsible to design your own destiny by cleaning the slate and gaining a new perspective on life. You will receive an awareness to holistic health to achieve a sense well being and harmony. The best form of empowerment is education. The word education means enlightenment. To be enlightened means to have understanding, insight, learning and knowledge. So Millennium Education and Absolute Empowerment were created to provide this service. The whole purpose of education is to commence the mind of the individual to growing and developing from within, to cause the mind to evolve and expand through constant changes in the thinking process, so the individual may eventually become acquainted with his/her own potential powers and thereby capable of solving his/her own problems. Evidence of education is confirmed with natures plans and can be seen when people graduate from university of hard knocks, through experiences which force them to develop and use their universal and absolute mind. Nature deals with hard knocks and always has a way of recreating itself – just like we have this opportunity to do. 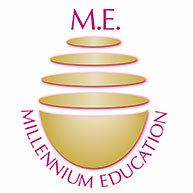 The Millennium Education Emblem: One of the Universal Laws is the law of Gratitude. It is represented by the shape of an EGG which is new life, new beginnings and an understanding of the Universal Matrix & Mind. 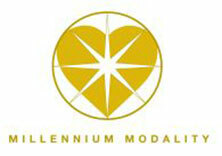 The Millennium Education Centre symbol represents the new generation. It is part of the transformational change to a rebirth or awakening to the integration of all things. The five (5) segments represent heaven and earth. The number 5 is the evolutionary process to the 5th dimension, The Golden Age reality or Age of Aquarius. This is where dreams become a reality and souls become unlimited. Manifestation is instant. There is NO E-GO involvement apart from the Higher Self. Experiences are perpetual freedom. The experiences are with divine grace, beauty, creativity, wisdom, prosperity and abundance.